BestMile fleet management platform is designed to connect, operate and optimize any fleet of autonomous vehicles. Unlike other monitoring systems that are passive, BestMile B2B2C platform translates schedules and real-time demand into executable missions for autonomous vehicles. As well, the platform takes care of dispatching and sending active commands to the right vehicle at the right time. BestMile technology acts as remote intelligence for autonomous vehicle fleets that brings on-demand autonomous mobility to people. Using heuristic algorithms and machine learning techniques, BestMile empowers customers to increase the efficiency of their fleet with a reduced number of vehicles while ensuring compliance regarding frequency and schedules or real-time demand. Furthermore, BestMile platform is independent of any vehicle manufacturer and thus allows customers to remotely manage heterogeneous fleets composed of autonomous vehicles of different types and brands. With its cutting-edge technology, BestMile is shaping “individual robots” into an intelligent, innovative and flexible mobility system. 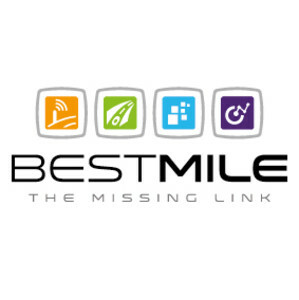 Thanks to its flexible and modular platform, BestMile provides either a turnkey solution, including a smartphone application, or interfaces with customers’ existing infrastructures and applications. BestMile fleet management platform is designed to connect, operate and optimize any fleet of autonomous vehicles (AV). Unlike other monitoring systems that are passive, BestMile B2B2C platform translates schedules and real-time demand into executable missions for AV. As well, the platform takes care of dispatching and sending active commands to the right vehicle at the right time. BestMile technology acts as remote intelligence for AV fleets that brings on-demand autonomous mobility to people.